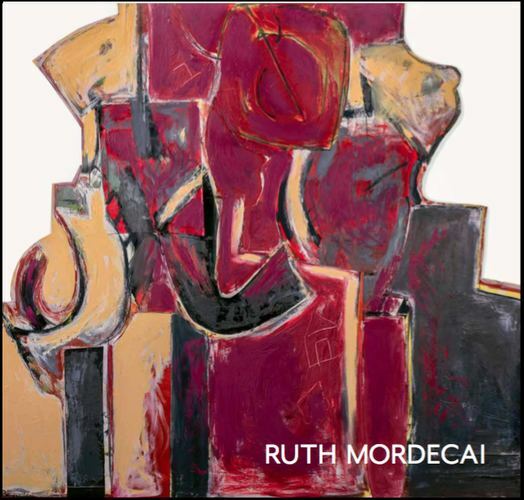 The book was designed with the help of Meredith Anderson, designer for the Cape Ann Museum and with essays by Judith Tolnick Champa and Ori Z. Soltes. The most recent work from a 2018 Trident Gallery exhibiton describes her interest in Hebrew stories: a mystical The Missing Letter a series called Letters Rising. Having been originally a sculptor, the paintings and drawings have a sculptural reference. Over many years they have featured black and white paint or collage to define sculptural forms and used a variety of lines to define the pictorial space. The 2016 Homage to Matisse series shows this clear sculptural reference. Often, a dash or two of color brightens an otherwise monochromatic color palette. A series may investigate abstractions from dance, landscape or visual symbols. Usually her process translates into the stacking of various images that together have become the iconography of the work. The titles: The Missing Letter, Letters Rising, Container, Stacks, Between Painting and Sculpture, Jacob’s Ladder/Jacob’s Dream (from Genesis) are examples of the use of this visual vocabulary. All works are on gessoed 100% rag paper with acrylic, oil paint and collage.